This past weekend, I probably witnessed the last time I would ever see David Crowder Band perform together. My journey with David Crowder began years ago. I was first introduced to them early in my college years. You see, we were broke college students. Christmas was coming up, and we didn’t know what to get our friends, because we didn’t have any money. So my friends and I decided to make an album for our friends. During our senior year in high school, we formed an a cappella group and did a mini-tour of friend’s graduation parties, performing for them and their families. We called ourselves F.O.B, which stood for Five Ono Boys (ono means delicious in Hawaii.) We recorded a handful of a cappella songs as a group, and each of us got a solo piece. My friend, Ono Boy #2 (we numbered ourselves by height, tallest to shortest. I was #1) picked “All I Can Say” as his solo piece. I never heard it before, and I couldn’t get over the lyrics. He told me that it was from a Christian band called David Crowder Band. Back in those times (and still today, for the most part) I couldn’t stand Christian music. It was so boring and so lame. And my youth director at the time would constantly try to listen to the alternatives. Do you like Pearl Jam? Then listen to this. And I would. And I’d be so angry and so annoyed. So when #2 said Christian band, I figured, not worth my time. 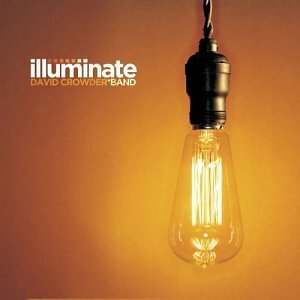 About a month after I started seminary, someone got me the “Illuminate” album by David Crowder. So I gave it a listen. The first track, Revolutionary Love was something I really didn’t hear before from a Christian group. By the time the second song (O Praise Him) ended. I was hooked. I didn’t know that praise could be so… fun… good… relevant… current. That album was jammed in my car’s CD player for the entire first semester of my seminary. I saw David lead praise and it was so intimate, in a room over 2000 youth workers. And he made it look easy. I thought to myself, man, I think I can lead praise the way David did. Sure, I may not have musicality and the skills to be a great musician (ask the kids that I worked.. “hey, wait, what’s the lyrics?” “Wait, how does this song go?”…) but I knew that I could offer something for God to use me to lead God’s people into the worship. I think I was a decent worship leader… and the way I led worship was very influenced by David. I saw him in concert in DC. It was their first performance since their pastor friend had passed away in a tragic accident. It was a very powerful and moving concert. I think we were all in tears by the time their concert was over. Ever since seminary, David Crowder Band has had a very special spot in my heart. Their performances and music have touched me in ways that no other bands have, theologically, spiritually and emotionally. Gungor is the other band that have gotten to me theologically, spiritually and emotionally. And it was fitting that David Crowder Band’s last concert was with Gungor. At least for me. It’s a bit saddening to hear that they are disbanding. They helped me along the difficult paths of seminary. Their music helped me deal with the ugly side of ministry that you can’t really anticipate or prepare for. I hope that David Crowder will still make music for worship. I know that I’m not the only one who have been blessed by all the things that they have done over the past decade or so. I’m real glad I got to see them at their The 7 Tour. If you get a chance to, I strongly suggest you go check it out. So, thanks David Crowder Band for the past 8 years of my life. God definitely spoke through your music to me and many of the kids I had blessing to work with. Hey man, Im going to the 7 Tour Concert tomorrow night in Lawrence, KS. The concert starts at 7pm, but I was wondering, how long did the other bands play? and what time did DCB go on stage? And how long did he play for? We are trying to see how long we will need a babysitter for that night….hah. Love me some DCB. He’s the best man.